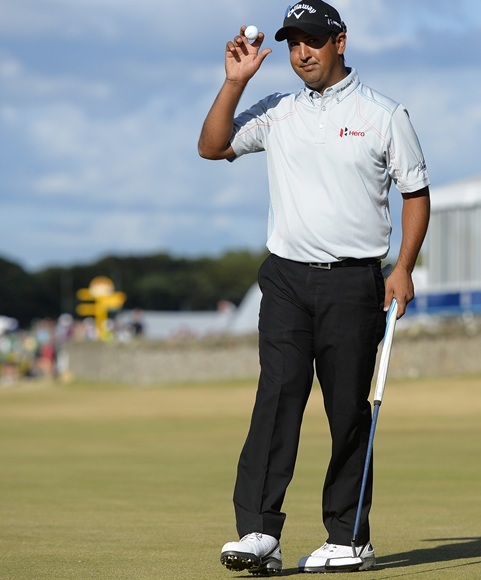 A stunning front-nine took Shiv Kapur to the top of the leaderboard before the Indian golfer let it slip in an erratic backward journey to be tied fourth after the opening round of the 142nd Open Championships in Muirfield, Scotland. He shot a three-under 68 after being in sole lead at six-under at the turn. 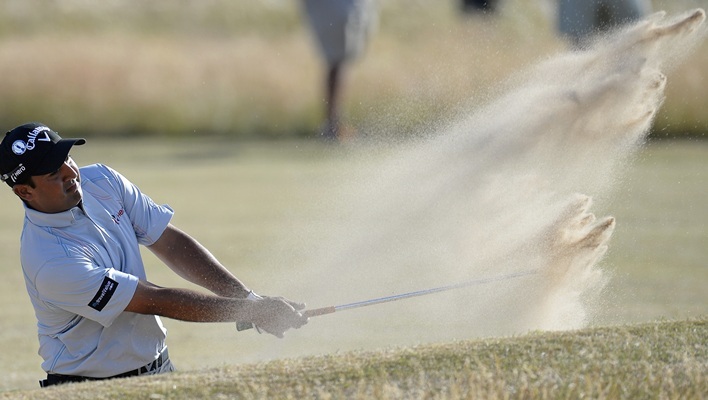 It was the first time ever that an Indian held the sole lead at any stage in a Major. At three-under 68, he was two shots behind Zach Johnson, the 2007 Masters champion, and just one behind a Rafael Cabrera-Bello and veteran Mark O'Meara, who shot 67 each. Miguel Angel Jimenez, Dustin Johnson, Brandt Snedeker and Tom Lehman were tied with Kapur at 68. Tiger Woods, Phil Mickelson, Angel Cabrera and Francesco Molinari were among those at two-under. 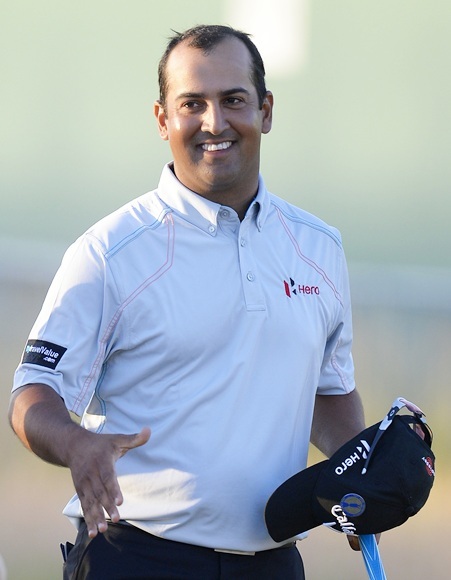 Kapur making only his second appearance at a Major -– his first was at the Open in 2006 -- had a sensational start with three birdies on the trot. After a par on the fourth hole, he birdied the next three and wowed the crowd as he held sole lead at six-under after seven holes. A double bogey on 10th followed by a bogey on 14th dropped him to three-under and tied fourth at the end of the day. With TV crews and photographers suddenly realising they had a potential record, there was a fair crowd following Kapur from the fourth and fifth holes. There was even talk in the media centre looking for the lowest ever round at a Major -- it was 63 by Rory McIlroy at 2010 Open -- but then with three dropped shots on back nine, Kapur began to look more human. Ranked 210th in the world, Kapur would hardly have been the choice to pick for a first round leader but undeterred and not awed by the occasion and followed by his family and friends, he played calmly and kept his cool even when he double-bogeyed the 10th and bogeyed the 14th. A stint at the Osho Ashram and a course in Zen to strengthen himself mentally and get better focus, Kapur has been working on both his short game with Alberto Binaghi and on his driving with Jamie Gough. Both paid rich dividends on Thursday. Kapur putted firmly and confidently on the fast greens. He had a great putt on the first and then hit his approach shot on the second to a tap-in distance before holing a long putt on the third. After a par on fourth he fired three more in a row and took sole lead. In the morning, Johnson, Miguel Angel Jimenez (68) and Mark O'Meara (67) had scorched the front nine with five-under 31 each but Kapur went one better before giving shots on the back nine. On the 10th came Kapur's first mistake. He went into the bunker and then missed an up-and-down for bogey to come out with a double bogey. Then he went into bunker again on 14th and dropped another shot.